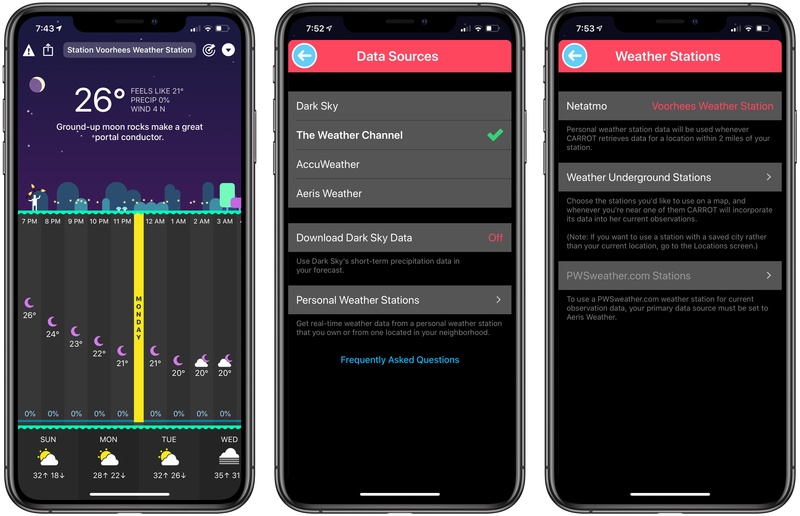 Yesterday, Dark Sky's app was updated with a redesign that addresses many of the shortcomings of earlier versions. 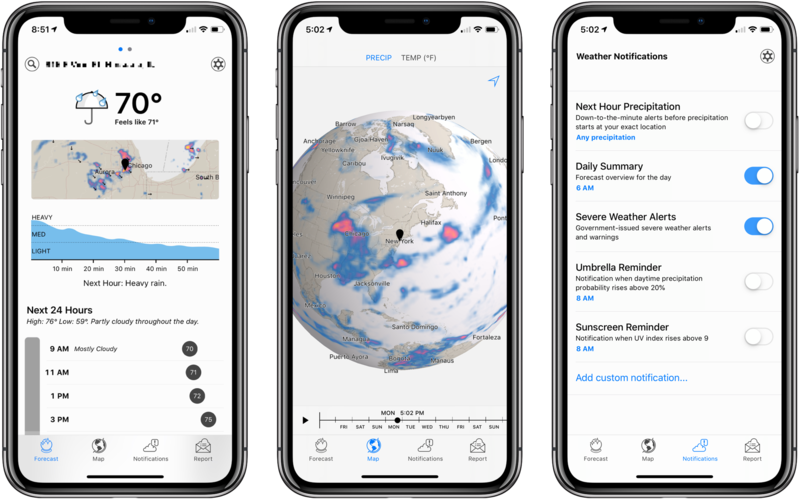 The main Forecast view now features a higher density of information and visual cues that make it easier to understand predicted weather changes at a glance. It’s a marked improvement over previous versions of the app, but the new focus on a vertical timeline comes with drawbacks that won’t be to everyone’s taste. 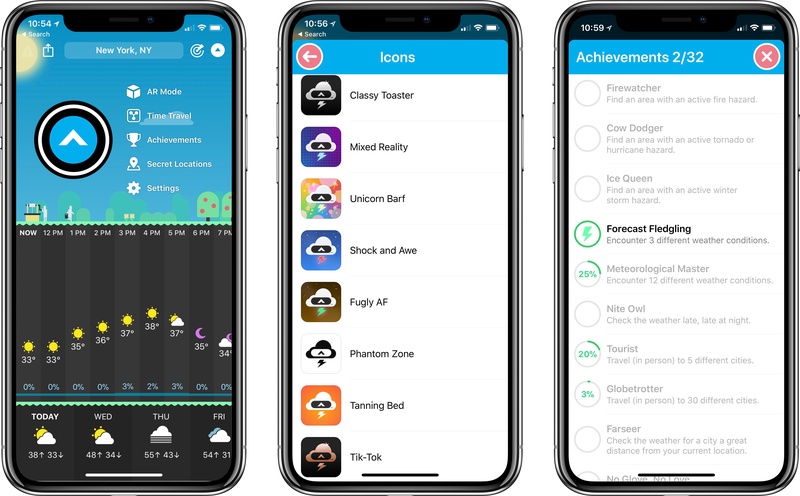 The latest update to CARROT Weather, a MacStories favorite among iOS weather apps, brings a variety of improvements big and small, with the most noteworthy designed to add extra fun to the app: achievements and alternate icons. Achievements are an attempt to gamify your weather app experience. While with most apps that sentence would sound ridiculous, achievements fit well with the personality and character of CARROT Weather. Currently there are 32 achievements you can unlock, many of which have to do with weather events you experience, while some involve travel and other activities. All available achievements can be viewed from CARROT's dropdown menu. 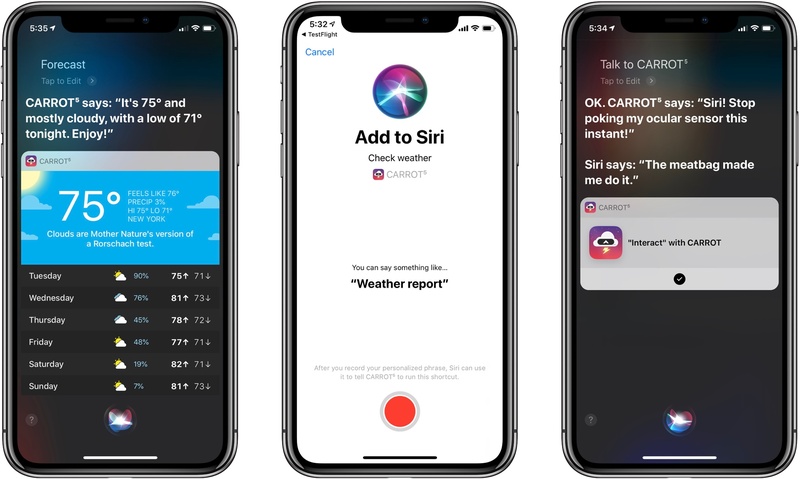 Alternate icons, like achievements, aren't a necessary addition to a weather app, but they do add joy to the user experience. Developer Brian Mueller has put together a diverse, high-quality set of icons to choose from, ensuring you can make CARROT fit in well with your existing Home screen layout vibes. Other changes worth noting in version 4.5 are that the Secret Locations feature has been removed from its previous home in the search box, instead getting its own dedicated place in the dropdown menu. This move is accompanied by a revamp of the map view for carrying out assigned missions. Also, the app's main search box has had its autocomplete upgraded to work much faster and comprehensively, and you can reorder saved locations easily using drag and drop. 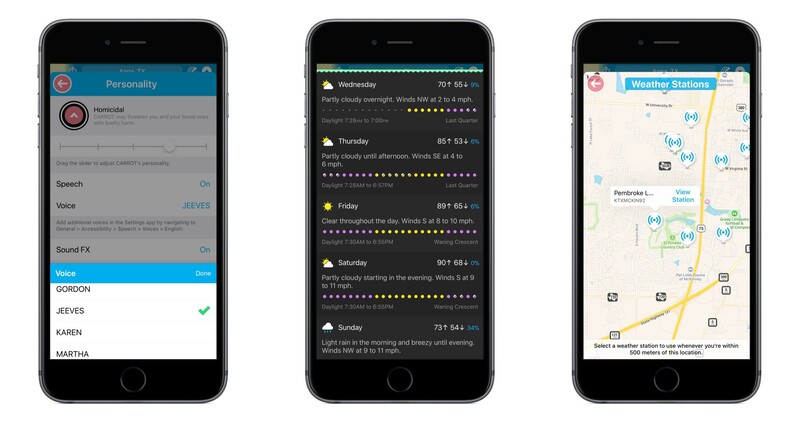 Today's update isn't a major one, but it does make a great weather app even better. 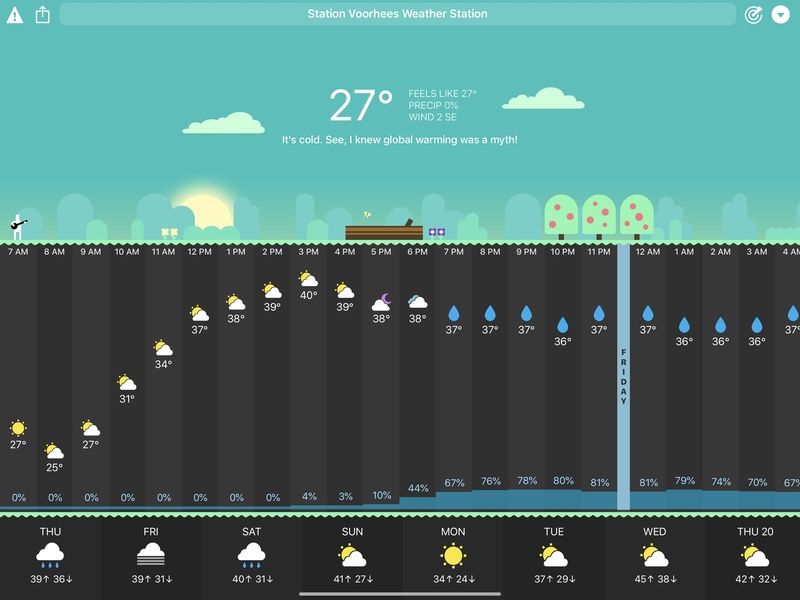 Features like custom icons and achievements help boost CARROT Weather's already extensive amount of character, endearing the app to users in a way few apps can. If you haven't tried the app yet, I highly recommend it. For some people, weather apps simply answer questions like ‘Do I need a coat today?’ but their appeal is much broader. Weather apps are also about science and statistics. If you enjoy the geeky data side of tracking the weather, there’s no better way satisfy that interest than by collecting measurements yourself with a weather station like the one made by Netatmo. Weather stations, like many gadgets, run from the simple to the complex. 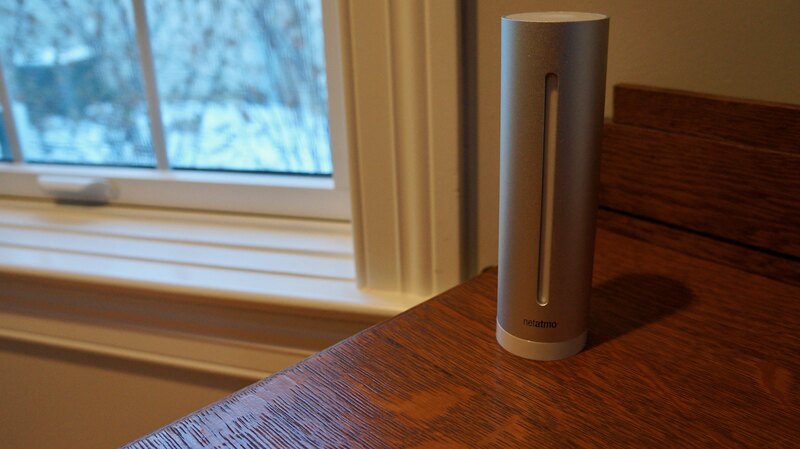 What I like most about the Netatmo Weather Station is that it’s easy to set up and modular. 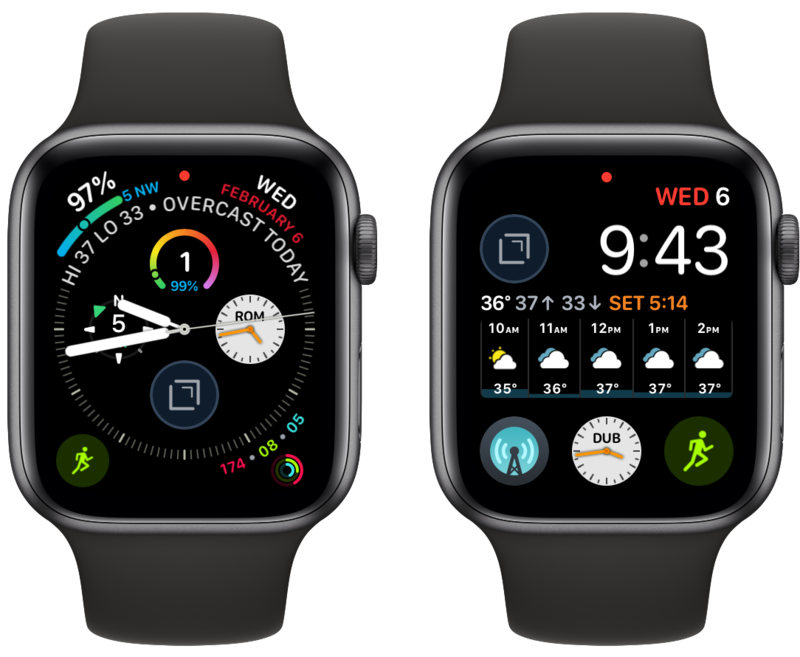 That means you can start with the core system that tracks basic weather data like temperature, humidity, barometric pressure, and air quality, and later, add wind speed and precipitation gauges if you want to dive deeper into tracking the weather.